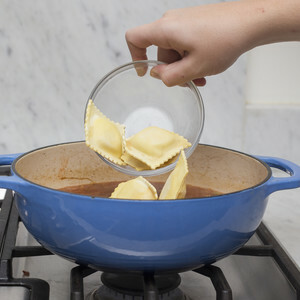 Ravioli with Four Italian Cheeses. Freshly Grated Parmesan, Asiago, Provolone and Ricotta blended with spices and wrapped in tender sheets of Montana Durum Wheat Fresh and Egg Pasta. From Alfresco Pasta in Nashville, TN.